Published in: Studies, Summer 2011, 100(398), pp. 243-246. 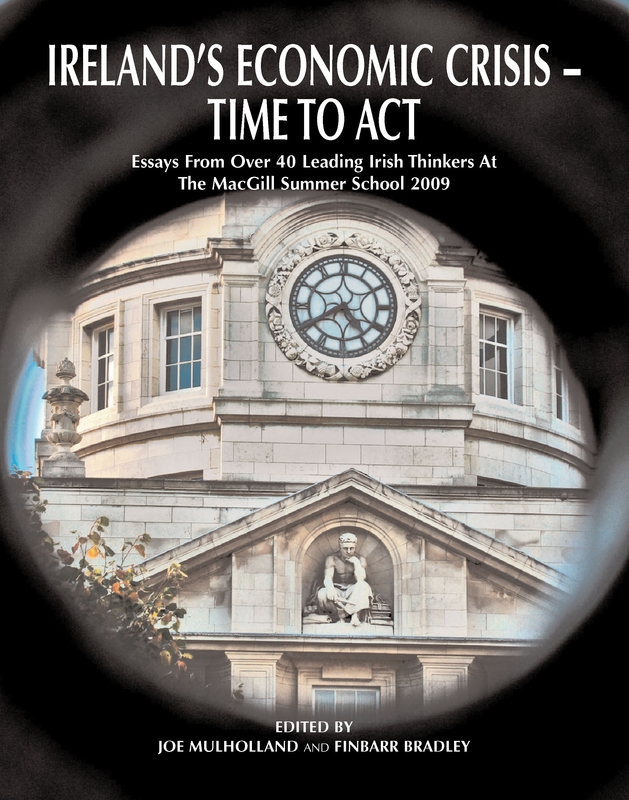 Aspirations for Ireland – New Ways Forward, Edited by Susannah Kingston, Dublin: The Columba Press, 2010, pp.207; Immigration and social cohesion in the Republic of Ireland, by Bryan Fanning, Manchester: Manchester University Press, 2011, pp.202. These books look at changes and challenges facing Irish society. The contributors to Aspirations for Ireland argue that for the country to go back to where it was is neither possible nor desirable. Its editor, Susannah Kingston, suggests that there is a collective recognition that our current economic, social, spiritual and environmental crisis provides an opportunity for constructive change. She questions whether the boom really benefited the vast majority of Irish citizens. It certainly was never sustainable and now is a good time for a fundamental rethink of the values of society. The sixteen contributions cover a range of innovative thinkers such as Richard Douthwaite, Emily O’Reilly, Diarmuid Ó Murchú, Sara Burke, Liam Herrick, and Hendrik W. van der Kamp. Radical solutions, steps and tools needed to develop a more resilient and egalitarian Irish society, in areas such as energy, economy, health, justice, culture, education, religion, housing and food are nicely presented. evidence of a new way of thinking – one that is kinder and more empathetic, both to the environment and to individual citizens, one that is collaborative and co-operative rather than competitive. Business is perceived by many to be prospering at the expense of the broader community. Increasingly, influential thinkers like Harvard’s Michael Porter, argue that capitalism needs to reinvent itself and eventually be replaced by a higher form combining profits and a social purpose. He argues that corporate social responsibility, for instance, will eventually be superceded by companies leveraging their unique resources and expertise in creating economic value by creating social value, thereby radically transforming business investment in communities. Give a child the framework in which she can imagine and be comfortable doing so and that child will grow and prosper and challenge and be challenged and have a voice that is strong, tender, articulate, angry, beautiful and alive. 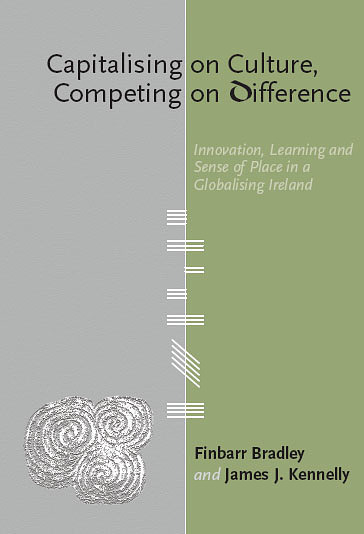 The second book, Immigration and social cohesion in the Republic of Ireland, by Professor Bryan Fanning of the School of Applied Social Science at UCD, addresses the challenges of integrating a large population of recent migrants and their children into twenty-first century Irish society. It draws on a rapidly growing body of research on the experiences of and responses to immigrants by Irish institutions. Much of the information on which the book was built slightly predates the economic crisis of 2009 and is based on qualitative research undertaken by the Migrants Rights Centre, journalism and commentary from Metro Éireann, quantitative research by the ESRI and analyses of immigration and social change published in the journal Translocations. Its focus is predominantly on the role of social policy rather than symbolic politics in promoting or impeding integration. The approach is to draw wherever possible on the experience of immigrants in considering the factors that facilitate or impede their integration. A core argument of this authoritive and insightful study is that integration debates and goals cannot be detached from the social inclusion goals that apply to Irish citizens. In other words, much of what works to socially include citizens is likely to further the integration of immigrants. Its nine chapters look at identities and capabilities while examining opportunities for and barriers to integration in a range of domains such as education, politics and citizenship. It concludes by looking at major challenges such as the need to move from begrudging to proactive integration through citizenship, recognition that integration is best addressed through social rather than security policy and including immigrants in decision-making in the various domains within which integration occurs. The book demonstates that a security immigration-governance perspective dominates integration policy in Ireland. But a great benefit of immigrants is that they bring with them different values, experiences and perspectives. They challenge existing patterns of thinking; they look at things in a way that the existing population may never use when engaging with each other. Experiencing other perspectives and meanings can help a country discover new opportunities, through the exchange of ideas, fusion of the old with the new and the creation of entirely new ideas. Such differences offer not only the possibility of a more colourful, vibrant and diverse society but also a more creative and productive economy. A key challenge is to build a society that harnesses the energy, enterprise and pioneering spirit of new immigrants, committed to their new place called home. With a coherent national purpose, Ireland can develop a vibrant and welcoming multicultural society, competing successfully and sustainably in a globalised world. I do not believe we can do so without a stronger sense of our own place in the world. A sense of place represents a deeply emotional and complex attachment to a particular geographical and cultural space. It is a connection embedded in social networks, informing people who they are, where they are and where they have come from. Privileging place over a common ethnic identity permits the accommodation of cultural difference while working as a welcome antidote to the mantra of globalisation that ‘geography doesn’t matter.’ Awareness of one’s own culture is a necessary step to appreciate the values and traditions of others. With greater self-confidence there is usually more curiosity and openness to the outsider. Yet, as the Irish Times (27 June 2007) illustrates, many immigrants note that the Irish lack a clear sense of themselves and their culture. One confessed that in reading John McGahern and Brian Friel she found a more fully formed sense of belonging depicted in Irish novels set in the past than among those reaching maturity today. Both books skip over the potential of a shared sense of place. Sr. Stanislaus Kennedy in her piece for Aspirations for Ireland does touch on it when in outlining her vision for social justice she asserts that for most people who settle here, ‘Ireland is home’. The challenge is to nurture Irish cultural identity while also welcoming newcomers. Marc Coleman believes most immigrants are willing recipients of the culture of their new home, and likely allies in forging an identity which gives them access to riches of language and tradition. iMeasc, an organisation set up by foreign nationals who wish to become fluent in Irish, confronts a central tenet of modernity: progress means rejecting native cultural values. As John Waters contends, putting aside the last vestiges of our own culture in case this may discriminate is based not on openness to outsiders but on hatred for ourselves. 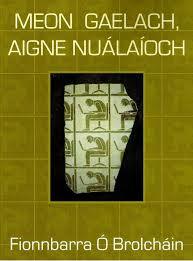 These books reveal welcome evidence of progessive Irish thinking. But things at the top change slowly. In March, a group of influential Irish business, public and political figures published a document A Blueprint for Ireland’s Recover. They contend that ‘without a thriving economy it is impossible to create an equal and fair society’. Surely they have this back to front? And must we wait? As the St. Patrick’s Day editorial in the Irish Times the same week concluded, ‘There will be no recovery worth its name without the spiritual, moral and cultural dimensions which renew Ireland’s self-understanding and confidence’.